Classic Italian shapes, in either smooth or sandblasted and finished off with a champagne coloured mouthpiece with nickel bands. The Abbia range by Molina offers the best quality for its price on the market today. 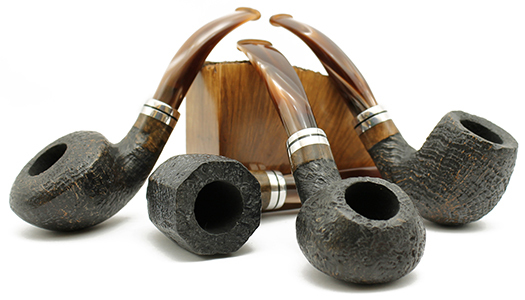 While not being cut from the premium briar, these are still made into very continental shapes and with wonderfully acrylic coloured stems. By drawing on traditional methods with a modern feel, the Abbia really is the best you can buy for £30!